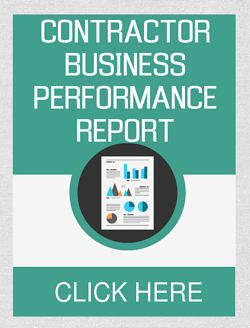 These days, contractors are under increased pressure to cut their prices to get enough work. And that means they need to reduce costs. New technologies and new approaches in cloud computing for construction accounting gives forward thinking contractors an amazing ability to get more for less - but in most cases, contractor's heads are still stuck in 1990, thinking they have to do everything themselves. In addition, a lot of in-house bookkeepers are a part of the problem, fighting back hard at the thought of letting any jobs or control goes to someone else. First, separate in your mind the concept of outsourcing contractor bookkeeping services and jobs because they are not the same thing. 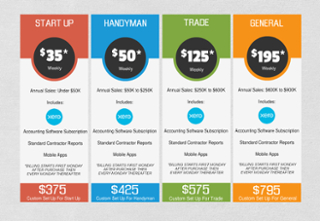 For example, suppose you decide to upgrade your contractor bookkeeping software from shoeboxes full of receipts or spreadsheets to a computer based construction accounting software like QuickBooks. 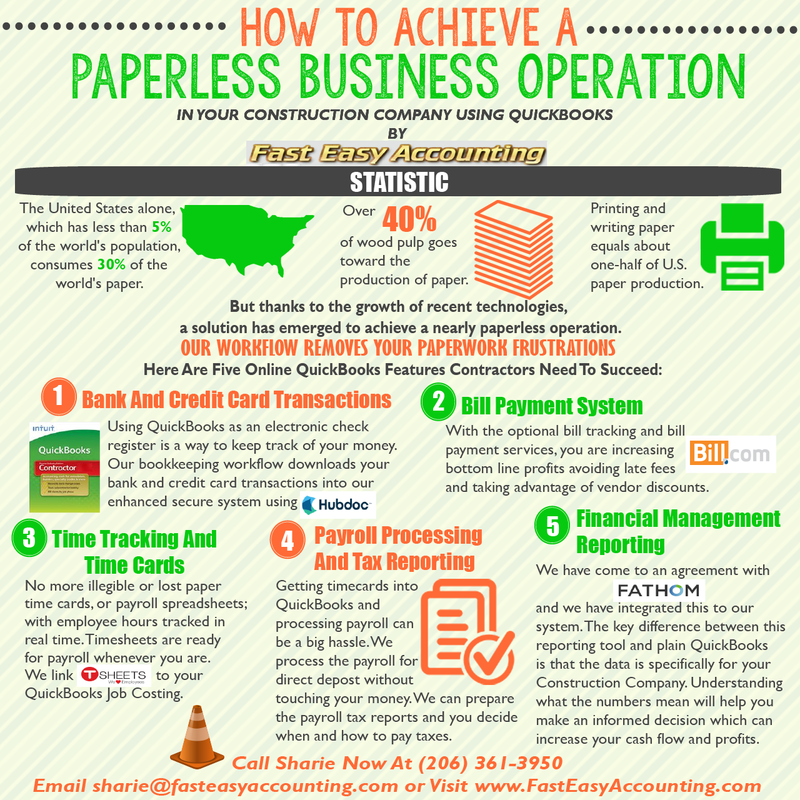 You can pay your bookkeeper to spend days or weeks trying to figure out how to setup QuickBooks for your construction company and in the end wonder why you don't have the Financial and Job Costing Reports you need to operate and grow your company, or you can outsource that task to someone who does it hundreds of times a year and add a few hours of tutoring for your in-house bookkeeper. 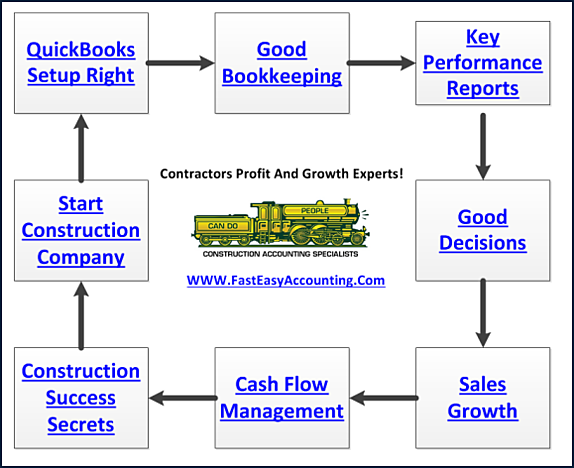 Construction Accounting is built on a foundation of regular accounting and shares the same basic financial reports for operating and growing a business and preparing annual tax returns and some very rudimentary management decisions. Construction accounting adds many complex layers of reporting mechanisms to show you, the contractor, where your best customers are within psychographic and geographic market segmentation boundaries using the 80/20 rule. The 80/20 Rule Can Make You A Lot Of Money! 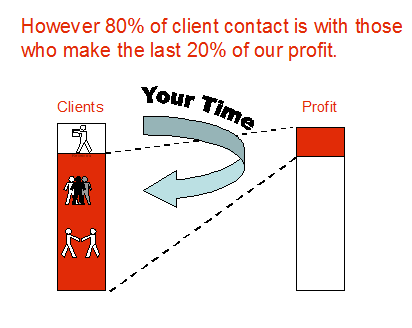 20% of your customers normally generate 80% of your net profit. 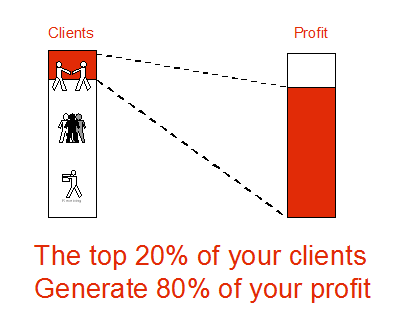 20% or 2 out of 10 of your staff create 80% of the value for your customers. The frightening consequence of the 80/20 rule is that 8 out of 10 hours we spend at work drive almost no value to the bottom line and the biggest drain is trying to save money doing our own contractor bookkeeping instead of reviewing the Key Performance Indicator (KPI) Reports. 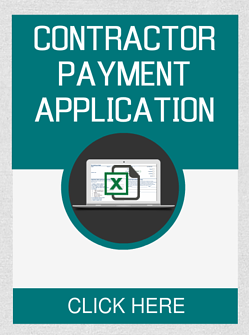 Through our contractors bookkeeping services system you can access them 24/7 without opening QuickBooks for Contractors. 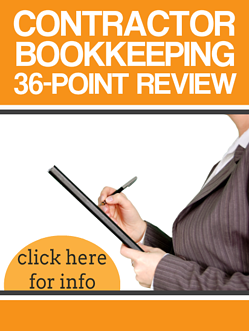 The most important value good bookkeeping brings to a business is an understanding of where your 20% is hidden. By generating daily reports that uncover the best customers, jobs, services, or products, you will soon see how you can refocus your internal efforts on doing more good work. This is the great contribution a company receives from good QuickBooks® data and from using QuickBooks® the ‘right-way’. This is a short list of the Chart of Accounts commonly used for construction accounting and regular accounting. The list is intentionally short in order to make the point without being completely overwhelming. So we’re not talking about jobs. When I say, “outsource your contractors bookkeeping” I do not mean turn it all over to us or any other contractors bookkeeping service because this is a something that never seems to work out well. No, I’m talking about outsourcing specific bookkeeping services related to data entry, bills, payroll processing and preparing Quarterly Tax Returns. My suggestion is to look at every part of your internal contractor bookkeeping service and ask yourself a simple question: is this a unique and critical part of our construction company and is it something that only we do? If so, it stays in-house, and needs the brightest minds you have working on it. If not, it is a candidate for outsourcing, and you need to look at it more closely. I’m not suggesting “automatically outsource it,” because the decision isn’t that simple. This first question is just the starting point. For example, bank and credit card account reconciliations in QuickBooks are what help maintain the accuracy and integrity of your Financial and Job Costing Reports. If you have two of each you are probably paying someone at least two hours a month to reconcile them. That person might make $15 dollars an hour and by the time you add overhead for labor burden they cost your construction company $25.29 an hour X 2 hours = $50.58 a month just to reconcile the bank and credit card statements. 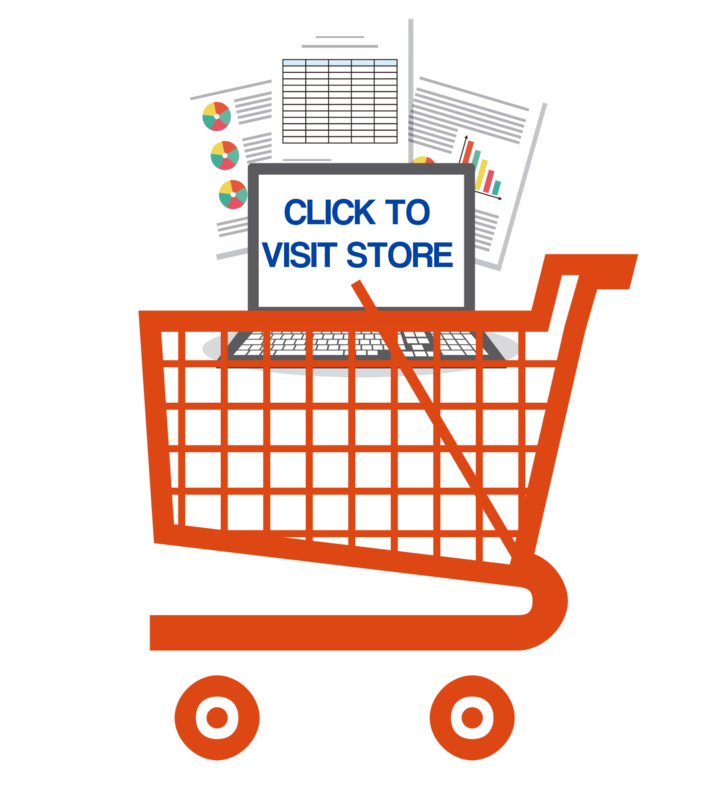 Unless they use Journal Entries to save time and destroy any hope of job costing reports. Simply means what it will cost you to hire someone including the company portion of the payroll taxes and all those little costs that only an accountant like me would think about. 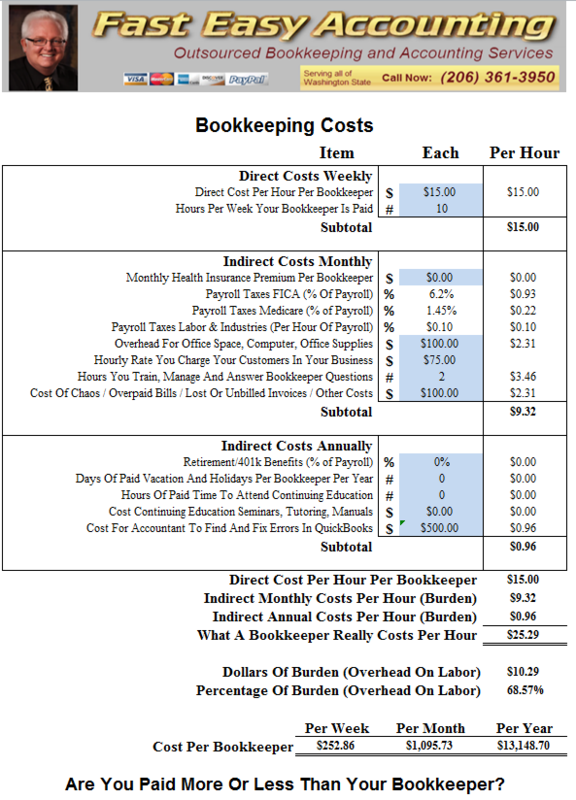 The example below shows a part-time in-house bookkeeper at $15.00 an hour working 10 hours a week. Notice this poor soul does not have any benefits at all and they still cost the company $25.29 per hour! The two happiest days in a construction company owner's life is the day he hires a bookkeeper and the day he outsources his bookkeeping. Generally speaking we know from our research a typical contractor with 2-4 employees and annual sales of $500,000 will need at least a part-time bookkeeper for 10 hours a week and they will try to get away with only paying them $15.00 an hour plus overhead and it will cost their construction company approximately $13,000 - $15,000 a year and most of the time they will still overpay their taxes, have bad or non-existent financial and Job Costing Reports. But you’d still need an in-house bookkeeper, right? Well… perhaps not. See, outsourcing is often interesting in that, while you still need administrative resources, they can be less skilled. They don’t need to have any contractors bookkeeping service skills to pick up the mail, make bank deposits, print checks, which can be done on your local computer even with QuickBooks Desktop version in the cloud. It’s likely a part-time office assistant could do that in addition to other duties and errands. Point is, it is worth asking the question what are the things you and your employees should be dealing with that nobody else can do for you. Everything else - contractors bookkeeping services, cell phones, power, land lines for office phones, coffee service, janitorial services should be outsourced if possible, and if it makes sense. Not because it’s cheaper, although outsourcing often works out that way in a careful comparison. No, you do it because it removes distractions, so that everyone in your construction company can focus on what’s important to acquiring customers and satisfying their needs which puts money in your pocket. It’s an interesting approach. The only reason more contractors haven’t started down this road is because most construction companies are poorly managed, which means they all kind of level out against each other. But, many contractors are figuring it out and wishing they had started years ago. 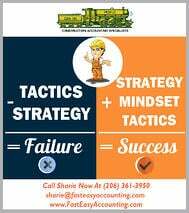 "The beginning of 2008 my company attempted to save money by doing our own accounting, but instead paperwork started piling up, wasn't organized and wasn't getting done. I failed to realize the amount of time and effort that went into accounting, especially not being an accountant by trade. 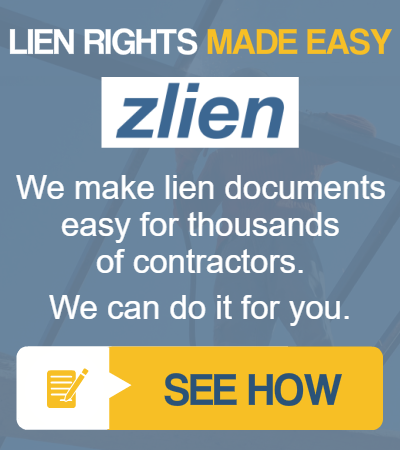 I would recommend their services to any General Contractor."